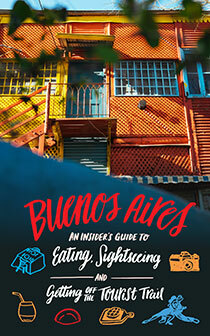 Think you know everything there is to know about Argentine cultural traditions? Well here’s something that you might not have heard of: peñas folklóricas. Let’s explain those two words. A peñas is an Argentinean folklore party, or if you prefer, a ‘wine-sloshing musical shindig.’ And folklórico is a kind of catch-all term that refers to almost any traditional music that isn’t tango. Peñas folklóricas then, are nights of musical entertainment incorporating food, wine, traditional guitar music, singing and dancing. Food, wine AND culture – that’s got to be the ultimate entertainment Triple Threat, amIright? It’s also not uncommon for musical instruments to be handed out to members of the crowd after a peñas folklóricas show so that the party can continue until morning. How cool is that! Peñas folklóricas are particularly typical in the province of Salta, but unsurprisingly you can find them in Buenos Aires as well. * La Peña del Colorado (Guemes 3657, Palermo). This is a laid-back and unpretentious place with exposed brick walls, rustic music memorabilia and a great line in empanadas and tamales. The music is generally excellent with some highly polished acts making an appearance. It’s not 100% folklórico here though; you will hear the odd tango. The crowd at La Peña del Colorado is student-heavy and always keen to stick around after the show in order to grab an instrument and keep the party going, so don’t rush out the door as soon as the last act winds up. * La Casa de los Chillado Biaus (Uriarte 2426, Palermo). This one is a bit hard to find as it’s behind an unmarked, always-closed door. Open that door though, and you’ll find a relaxed little gem run by two brothers who often play a bit themselves before the main act comes on. Crowd participation at La Casa de los Chillado Biaus – at least to the extent of clapping and singing along – is mandatory, which lends a fantastic atmosphere. Very fun indeed. * La Trastienda Club (Balcarce 460, San Telmo). La Trastienda Club is a famous Buenos Aires cabaret-style nightclub. It occupies the ruins of an old (1895) mansion and holds 400 people seated and another 1,000 standing. No, it’s not exactly small! At La Trastienda Club they feature folklórico acts along with tango and rock. Check their website (www.latrastienda.com) to find out what’s coming up. * Los Cardones (Borges 2180, Palermo, Buenos Aires). Yet another peñas folklóricas, Los Cardones features a nightly and ever-changing roster of artists (check out www.cardones.com.ar to see what’s on). As with many other peñas, the party at Los Cardones continues long after the official act has wrapped up, so don’t be in too much of a hurry to leave if you don’t want to miss the fun. But wait, there’s more: Los Cardones also offers folk dancing classes on Fridays between 19.30 and 21hs for just 16 pesos a pop (email Karina Caceres: karinacaceresfolk (at) for more information). There are definite style points in living in BA and learning a dance other than tango, no? So: the next time your friends tell you that they’re tired of parrillas, asados, tango, bars and clubs, just take them to a peñas folklóricas instead. The fun will take care of itself. Great post! 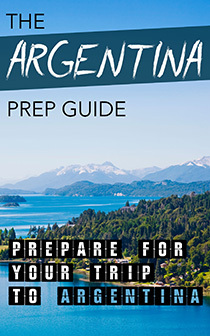 Other ones to check are: El Empujón del Diablo, in Palermo Viejo and Peña Rancho, in Recoleta. I know this post is old but..
does anyone know what nights of the week there are peñas in these places? and what time they get started?